Over the past year as part of an ongoing series we have been sharing a selection of Instagram images here on the blog which we have posted to the social media platform - posting the top five images most liked photographs from each month as chosen by our Instagram followers in the form of their likes. We had hoped to share a selection of images at the end of each month but travel and other commitments unfortunately got in the way, resulting in a number of missed months throughout the year. So below is our last Instagram selection for 2017 - our November selection, we hope to continue with the series into 2018 kicking the year off early in January with our December collection. Our Most Liked Street Art Instagram Photos From November 2017 selection features photographs of street art works from artists RUN aka Giacomo Bufarini (Previously on Hookedblog), Veks Van Hillik, French artist LUDO (Previously on Hookedblog), Martin Whatson and Wild Drawing. At the start of November we took a trip to Bristol to visit the a joint exhibition at the Clifton Fine Art featuring the work of London based artist Aida Wilde and Bristol artist Rowdy. While we were in town for the show opening we also took some time to take in some of the cities street art that the city is famous for, catching photographs of a selection of works including this piece pictured featuring the work of Italian street artist Run aka Giacomo Bufarini. Veks Van Hillik Beautiful work in Grenoble, France painted by French artist Veks Van Hillik in such a wonderful setting. 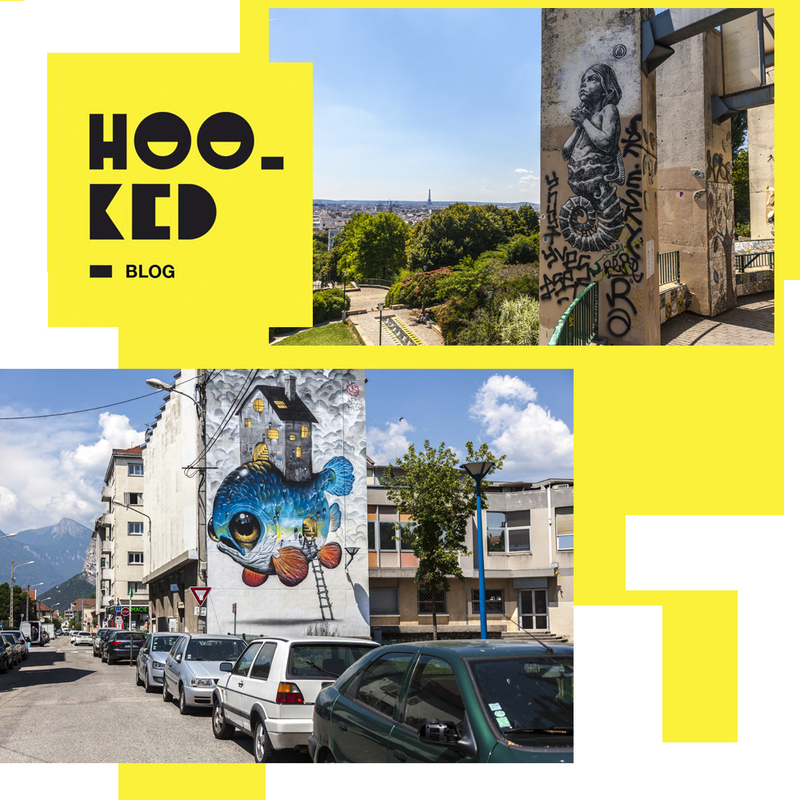 We photographed the beautiful mural earlier in 2017 when we travelled from Milan to Grenoble to visit the Grenoble Street Art Festival. The french street artist stopped over in London taking to the streets with a new series of large scale black and white paste ups in East London - pictured is one of the three large pieces installed by Ludo. One of a number of large scale stencil murals painted around the Stavanger city centre by Norwegian street artist Martin Whatson. We photographed the piece pictured while we were visiting the city during the annual NuArt Festival. Currently based in Athens, Greece, Indonesian street artist Wild Drawing (WDStreetArt) created this unusually small mural for him, titled 'Wish' in Belleville overlooking Paris. Feel free to share with us your favourites photographs from the selection in the comments section below and be sure to head over and give us a follow on our Hookedblog Instagram if you are not doing so already. And don’t forget to show us some love and hit the heart button on your favourite pictures and help shape our next selection next month.